The myth of the mind reading partner is one of the most common challenges we see in our offices. As we’ve discussed before, couples often get it wrong when it comes to assuming one person can tell how their partner feels, without talking with their partner to find out. We see two common types of mind reading myths. 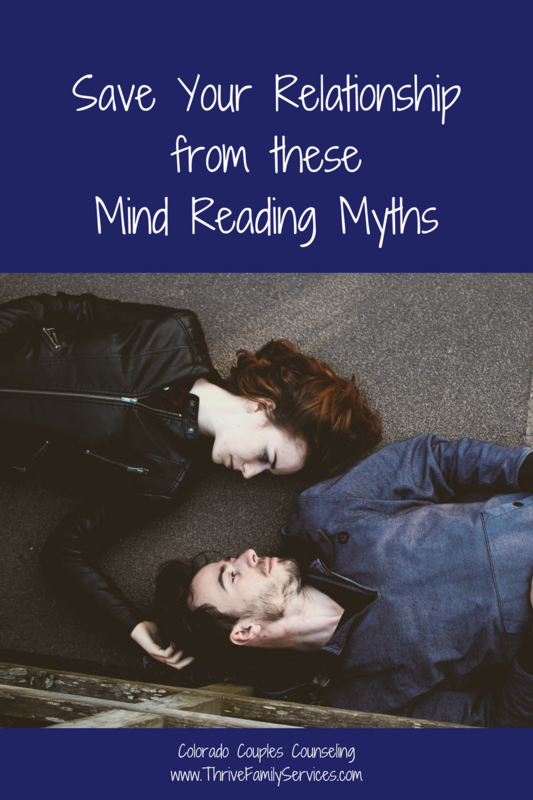 The most common mind reading myth we hear about as Denver relationship counselors is that your partner knows or should know what you want. That’s a challenging enough myth on its own. Most people really want to please their partners and often don’t know what to do. This can happen because you haven’t told them how to please you, or you told them in such a way (read: critical or angry) that your delivery got both of you tangled up in an argument. The great news for both of you is that even if you or your partner were never shown how to do these things in your family, you can learn to do them now! This myth of “my partner should know what I want” really becomes a whopper of a problem when coupled with the all too common “if he/she really loved me” phrase. This faulty reasoning goes like this: If the mind reading happens, you are loved. If it doesn’t happen you must not be loved. This may sound silly when reading it on a blog, but is INCREDIBLY COMMON in couples. People assume incorrectly that if someone really loved them, they would do or say X,Y,Z. Add to this fact that people then often get angry when their expectations are not met in these faulty love math equations. Now you’re really off to the races because your negative cycle just started up again. Do you recognize any of these examples of “if he/she loved me” mind reading myths? If he loved me, he would know that I get overwhelmed by the kids/our schedules/my job, and he would help more. If she really loved me, she would appreciate me more for how hard I work. If he really loved me, he would show me how through (my expectations) of his actions, how much of a priority I am to him. If she really loved me, she wouldn’t complain so much. This second myth is the faulty belief that “He/She knows how I feel about them.” The truth is, your partner may not actually know how you feel about them and how important they are to you. 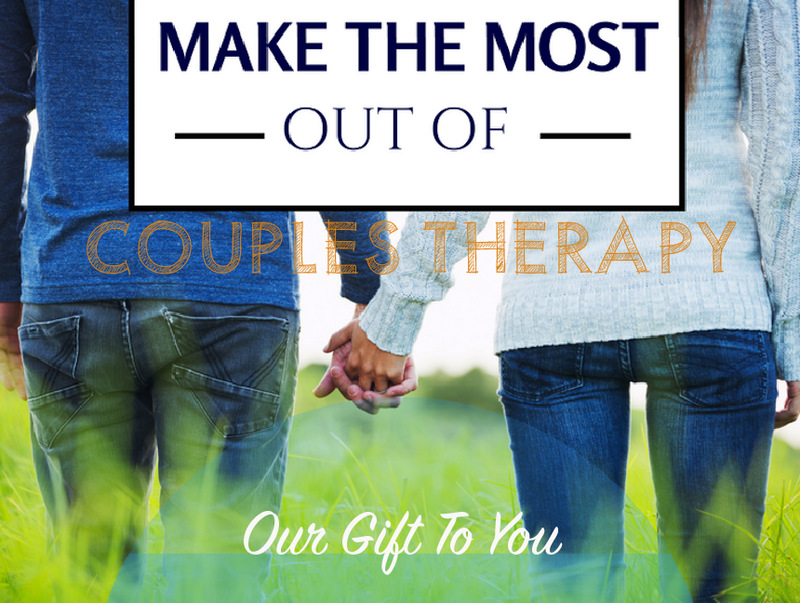 Also, it nurtures your relationship and sends your partner vital cues about how they matter and are special to you when you share how you feel. This is love in action! I really liked it when you came home and gave me that extra long hug. I see and appreciate all the effort you have put into helping me with the kids or house. I love it when you wear that shirt – it makes your eyes look amazing. It turns me on when you make me laugh like that. Thank you for letting me talk about what’s happening at work. I really needed to get all that off my chest. Remember that honeymoon phase of your relationship? Chances are, you would verbalize things like this to your partner on a regular basis. When we fall in love, we make it abundantly clear how special our partner is. Why on earth do we stop doing that? The harsh reality is that as relationships mature – we stop doing it so much because we forget, we get complacent, we have more conflict, etc. Well, your partner may know it on an intellectual level, but be STARVING for you to say it out loud on an emotional level. Think about yourself as a little kid – was there ever a time when you didn’t long or love to be told how proud you made someone, how you were special to them, and also how you were loved even when you messed up? We are just talking about the happy times here with this myth. Take this mind-reading myth of “he/she knows how I feel” and add in some conflict! Your partner’s need for hearing this stuff from you probably just doubled if you recently had a big blowout argument. I want us to figure this out. I’m not giving up on us. But what if it feels uncomfortable or unnatural for me to say those things to him/her? If this gives you that squirmy feeling and you don’t know if you would be comfortable saying some of these things out loud, YOU ARE PERFECTLY NORMAL. Somehow, as we exit the honeymoon phase and move into a more mature relationship, many people get out of the habit of verbalizing these important feelings. Just like anything we haven’t done in a long time, you get out of practice. But like any other muscle memory, you can start to do this again for each other. As we’ve said, many people were never shown how to be explicitly loving like this. The good news is, none of those habits of keeping feelings on the inside is etched in stone. You can learn to share your feelings just like you can learn any other new skill if given the proper support and coaching. If you are looking for a Denver relationship counselor, we would love to help your relationship go from myth to reality when it comes to feeling loved. Schedule online now with one of our myth-busting Denver couple therapists. 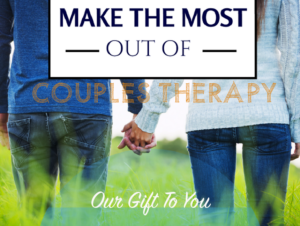 Schedule Appointment Or, give us a call at 303-513-8975 to learn more about how we can help you get back to the honeymoon of sharing your love.